Making Manchester an exciting hub for new writing in the UK. The Bruntwood Prize for Playwriting is the UK’s largest playwriting competition. It is the search for great plays and great writers. Previous winners include some of the UK’s most respected playwrights such as Duncan Macmillan, Vivienne Franzmann, Alistair McDowall and Anna Jordan. This biennial playwriting competition is open to anyone who lives in the UK and is entirely anonymous.  The Bruntwood Prize is an innovative and ambitious partnership between the Royal Exchange Theatre and property company, Bruntwood. The competition was inspired by two mutual aspirations: to encourage and uncover new writing, and to build a national platform for exciting new talent. The Bruntwood Prize is an opportunity for writers of any background and experience to enter unperformed plays to be judged by a panel of industry experts for a chance to be one of four winners and win part of a prize fund totalling £40,000. Since its inception in 2005, over 14,000 scripts have been entered, £256,000 has been awarded to 28 prize winning writers and 24 winning productions have been staged in 38 UK wide venues. The anonymous nature of the Bruntwood Prize means that all writers - whether established or first-time playwrights - are judged solely on the merit of their submissions. Winning scripts have not only been staged at the Royal Exchange Theatre but across the country, showing at the Royal Court Theatre, Lyric Hammersmith, Bush Theatre and Soho Theatre, and in cities including Cardiff, Newcastle, Liverpool, Edinburgh and Northampton. With each competition, we are delighted to welcome a prestigious judging panel, with past judges including Richard Wilson, Simon Stephens, Michael Sheen, Maxine Peake, Suranne Jones, Kirsty Lang and Dame Jenni Murray. The Writeaplay.co.uk website is our official website for The Bruntwood Prize for Playwriting. It also exists to support playwrights to develop their writing and benefit from other opportunities. It contains workshops with some of the country’s leading theatre practitioners, news on other opportunities and prizes as well as information on how to enter the Prize, history of the Prize and a range of other resources.